Melamine, the "plastic" that was found in dog food, now in baby formula and milk; children are sick and dying in Hong Kong and mainland China. June 16, 2014 UPDATE: Duck, sweet potato and chicken jerky treats imported by Normerica, Inc. and sold by Loblaw, Costco and other retailers are among brands suspected of making dogs ill. (CBC) Two former Normerica Inc. warehouse employees claim the pet product company had employees repackage and re-date stale dog treats arriving from China and Thailand. Original Dateline Sept. 2008 - Dog food ingredients containing melamine were imported from China which, along with our FDA, promised stricter controls but the banned industrial chemical turned up in milk products and baby formula nearly two weeks ago. To date, over 12,000 children have been stricken with kidney failure, kidney stones, and other illnesses caused by drinking contaminated milk and baby formula. 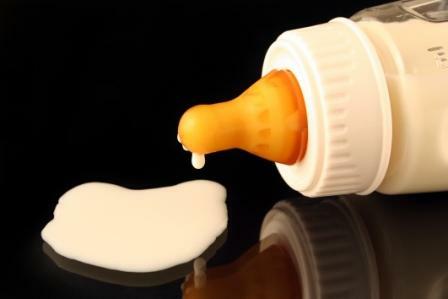 The Sanlu powdered baby formula was largely produced by one company, the Shijiazhuang Sanlu Group but the Chinese dairy company Yili and 22 other companies have recalled milk products. The Chinese Ministry says melamine is not in liquid milk but traces were found in a Chinese-made, milk-based candy called White Rabbit. Melamine is used to make various plastics and being high in nitrogen, it registers as protein in milk. We are being flooded with imported ingredients. Especially in dogs, melamine, may cause kidney stones or kidney failure but infants are particularly vulnerable. A flavored milk powder made by Swiss-based Nestle was found to be contaminated with melamine. Nestle products imported from China can not be sold in Taiwan. Taiwan Public health officials announced that melamine has been found in instant coffee, milk tea and chicken-and-corn soup that have non-dairy creamer mixed in with them. They hastened to add that all tainted products came from China. So far, no such reports in the U.S.
We covered the dog food contamination last year and predicted that early reports which sought to minimize the numbers and seriousness of the reports were incorrect. Unfortunately, we were right but at least dog owners were alerted and many resorted to home cooked food to protect their pets. Last year’s scandals involved not only dog food but Chinese exports of medicines, toys, and even tires! The contaminated products killed and sickened people and their pets in North and South America and even New Zealand when children were hospitalized due to imported pajamas contaminated with 9 times the allowed amount of formaldehyde! Again, we predict this story will grow despite attempts to muzzle the press. We’ll keep you updated but in the meantime, we suggest looking at labels on the products you purchase. And that won’t last long as labeling requirements are relaxed due to current economic pressures and the balance of trade (and the stock market) are precariously poised. More to follow on Chinese chicken imports plus an illuminating first-hand report by Fred Lanting, an international judge and retired chemistry and physics professor. 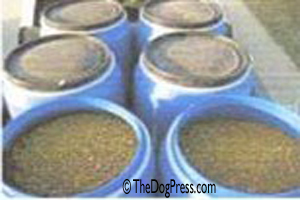 Where condemned dog food got “dumped” will make you sick! 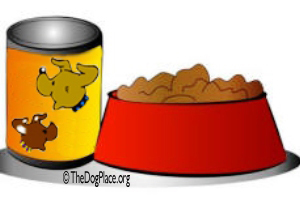 The FDA can’t stop deadly ingredients in human or pet food.